This blazer from H&M is one of my favourites. 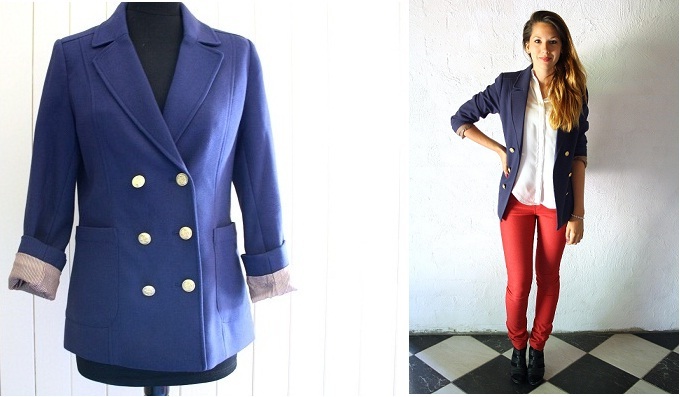 The fitting is a bit oversized and the marine color suits a lot of colors. I showed you this blazer already in this post. My jeans and blouse are both from Zara. J'adore it. nice contrast with the red trousers!!! such colors always look great! Echt een hele leuke outfit dit ! P.s Bedankt voor het volgen. aw wow yeah that blazer is amazing!